One of the most exciting and thrilling experiences that I have ever had was attending a pagan festival for the first time back in the summer of 1980. It was called the Pan Pagan Festival, and it was held at a rather dreary campground in the northwest corner of Indiana. The campground was shared with a Baptist camp revival, which at least was separated by a small lake. Over 500 people showed up for that event, and all of the big names were there. There was Gwyddion Penderwyn, Z. Budapest, Selena Fox, and many other notables as well. It was my first outing after having escaped from the Coven from Hell and it was my first experience meeting almost every shade of Pagan and Wiccan. I even met a few members of the left hand path and that was quite amazing. Yes, even a few Satanists managed to attend (but don’t tell anyone). I had just graduated from college and for me this whole venue was an incredible experience. I also got to meet some of the best craft friends that I had ever made, so it certainly was a pivotal event for me and I suspect for many others, too. Yet this event wasn’t very ideal as far as pagan festivals go, since it was over crowded, the campsite was right next to the freeway so you heard vehicle traffic at all hours and we had an uneasy peace with the Baptists on the other side of the small lake. Other festivals and conventions that I have attended since then were certainly better organized and had much better camping or lodging facilities, but this one was my very first pagan festival, so it will always have a special place in my heart. Now that we are living in the early 21st century, there are many gatherings and festivals that happen every year, whether local, regional or even drawing an international crowd. I have even helped found a pagan festival, which is the Heartland Pagan Festival (started in 1986), and I helped to run it for its first few years. Heartland Pagan Festival is still happening today during the Memorial Day weekend, even after 27 years. So why am I asking such a stupid question, “Are pagan festivals dead?” Obviously, they seem to be thriving and appear nearly everywhere in the country. 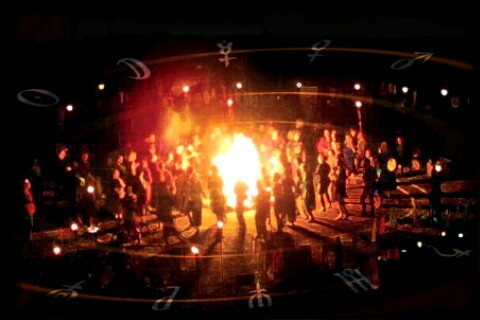 What a foolish phrase to use as the title of an article about pagan gatherings! However, as Bob Dylan has said, “The Times They Are a-Changin'” and indeed they are changing with a vengeance. There are many factors that are shaping the future in which we will live and they will probably have a profound impact on Pagans and Wiccans being able to assemble in large groups, unless of course, those groups are local and sustainable in the long term. We should also examine the relevancy of these gatherings so we can look at them more objectively. Back in the seventies and eighties, it was critically important for us to assemble in large gatherings since it was the only way to communicate (outside of writing letters or talking on the telephone), and we were still forging an overall kind of cohesive identity. Sharing ideas and thoughts in an open, free and chaotic manner helped the founders and key members of various Pagan and Wiccan organizations to clarify and develop their traditions. It also helped us as a group to find a common ground and learn to identify with others who were somewhat or even startlingly different. We learned to be tolerant towards a divergence of beliefs and practices and to respect each other. We also learned to fiercely defend our rights to believe and practice our faith as we saw fit. All this occurred as the encroaching and ever popular fundamentalist Christian organizations gained in political power and popularity, starting in the 1980's. Still, times are indeed changing and the need for such large gatherings may have achieved the upper limit in terms of both usefulness and sustainability. By usefulness I am saying that merely getting together for what would seem to be mostly a social gathering with sprinkling of some workshops, presentations, rituals, live music and the selling of obscure books and goods may not represent what is really needed or relevant for our growing population of practitioners and followers. By sustainability, I am thinking of the availability of resources to gather together in large regional or even international groups. Traveling by car or plane does impact the environment with pollutants and it also uses up precious resources, namely fossil fuels. These resources will probably become a lot more expensive in the decades ahead. It would also be smart for us to consider the impact of the internet on inter-faith communications and social gatherings. What this means is that lots of people can communicate and even engage in one-way (email, blogs and pod casts) or even two way voice and/or video conferencing at a fraction of the cost and trouble of actually traveling to a location to meet and exchange ideas. It’s even possible that some future gatherings might become entirely virtual events. Certainly, this technology is already having an impact on how people communicate with one another, and the relative ease and frequency of those communications. As followers of earth-based spiritual traditions, we should be sensitive to the issues concerning the use of resources and sustainability. What this means is that in the future, it’s very likely that long distance transportation by car or by plane may become quite expensive, making local gatherings or virtual gatherings more financially attractive and sustainable over the long run. So with that being said, we can at least agree that regional and international gatherings are probably going to become more rare or they might even completely disappear in the future, because only those who can afford the transportation costs would be able to attend. We can assume that the cost of transportation will become a limiting factor for gatherings in the future. These changes are probably going to greatly affect the way we live and what we eat, the location of our homes and how we travel to non-local destinations. When crude oil becomes far less abundant than it is today (and that is indeed a fact we can bank on), it’s going to become too expensive for individuals and small groups to travel by car or plane, and that more energy efficient systems of mass transit will become the norm for most. We will also see a decline in the kinds of foods that we find in the markets today, so that seasonal availability will once again affect what we buy in regards to fruit, vegetables and even meat, as it did when I was child. The world is facing the immanent reality that human population growth and resource consumption will have to drastically change in the next fifty years or we will face catastrophic repercussions. Our habits and lifestyles in this country will probably start being impacted in the next couple of decades by these events, as it already has in the third world and to some extent, Europe. We are going to have to become much more “greener” in our approach to life and the use of resources. Pollution and greenhouse gases will also have quite an impact on how we live and we will ultimately be forced into using more efficient transportation systems that will produce vastly less levels of pollution than the average car or plane does now. As followers of earth-based spirituality, we should not only be aware of these facts, but actually embrace them and start planning and acting as if those times were already here. That being said, I would like to discuss a little bit of history with you and examine the different kinds of gatherings that exist today, their possible origins, and what may still be sustainable in the difficult decades ahead. I also want to discuss what I think is really needed in our communities that is lacking, which would help us to mature our spiritual perspectives and practices, because compared to the other world religions, we are very new and just starting to coalesce our spiritual beliefs and practices. 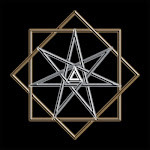 We will now consider three types of gatherings that are currently employed in the Pagan and Wiccan communities. This, of course, doesn't include local community gatherings or sectarian gatherings that would occur for a single day or night. The very first kind of gathering that occurred for pagans and various other kinds of religious groups of that ilk was probably a gathering that was not really intended for them in the first place. That was the Science Fiction convention, which was expanded to include the genre of fantasy writing, and this, of course, brought together science fiction geeks with fans of alternative worlds of magic and wonder. It was also the most frequented watering hole for quite a number of the budding pagan revival groups as well. Science fiction as a literary body has produced a least one very well known religious organization, and that is Scientology; founded by the science fiction author and occultist, L. Ron Hubbard. (I will forgo talking any more about that topic.) Science fiction and fantasy novels, such as “Stranger in a Strange Land” by Robert A. Heinlein was responsible for the founding of the Church of All Worlds, and Tolkein’s Ring series certainly spawned all sorts of creative endeavors that attempted to bring a degree of reality to stories that were mythic, timeless and enjoyed by many. 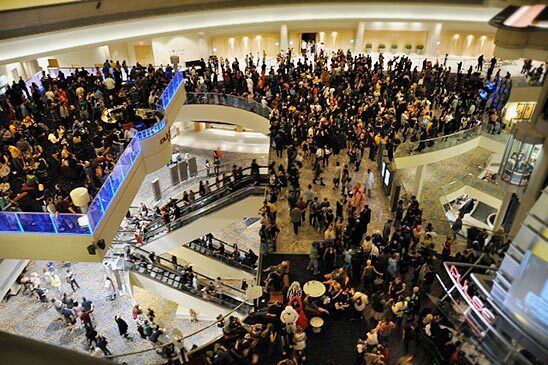 Scifi Cons, as they are called, spawned other gatherings as well, not to mention the huge following for comics and comic heros (Comicons), Star Trek, and numerous others. Probably the grand daddy of them all was the electronic consumer convention, which was based on other kinds of gatherings, such as political party conventions. It’s not surprising then that some of the first gatherings of pagans may have occurred at some of these conventions, and that they naturally would have used the model of the fan or consumer convention as a format for a strictly pagan kind of convention. There are at least a few pagan conventions that happen every year, and these tend to draw a more international audience. They are also less formal and much more public. The critical element for planning a convention type of gathering is to first find a hotel that will accommodate a large gathering of like minded people. There should be meeting rooms, conference rooms and even large halls for larger congregations of people to enact rituals or musical concerts in a large public setting. It’s also critically important to be able to publicize such an event so that a large group of people will attend, enabling the hotel to book the hotel rooms in advance and make a profit from the gathering. The key is getting enough people together so that the gathering will be able to meet its expenses. This requires a fair commitment up-front to the hosting hotel from those putting on the gathering, and it’s necessary to be able to spread the word so that enough people will attend. If a convention doesn’t get enough people, then not only will the organization that attempted to host it probably go broke, but some individuals will likely be responsible for the out-of-pocket unmet costs for the organization, the hotel and any other parties supplying food, vending or other services. So this kind of gathering is risky and is better served in areas with a large population, such as large cities or metro areas. The pros for such a gathering are numerous, such as providing a safe and comfortable venue for people of like mind to socially meet, network, put on discussion groups, workshops, sell obscure or hard to find products and generally have a good time eating and drinking with fellow Pagans and Witches. Successful conventions are usually located in dense transportation hubs, so they are easily accessible and can accommodate large fluctuations of people coming and going. The cons for such a gathering are also numerous. First, in order to be sustainable, conventions must attract a large group of people, and that means that anyone in the general public who is willing to pay the entry fee are able to attend. Often, hotels are accommodating more than one gathering or convention at a time, so there is a mix of various attendees and other folks who happen to be there at the same time. Seldom is a hotel exclusively held for a specific convention. Even the largest ones, such as Pantheacon, which is held outside of San Jose near the local airport, have to share some space with outliers. Smaller conventions would have to share resources with individuals who are not into Paganism or Wicca, and who may find the whole event to be annoying or even obnoxious. Hopefully everyone will be patient, tolerant and get along when rubbing elbows together in the hotel lobbies, hallways and at the local eateries and restaurants; but that doesn’t always occur. There’s always the possibility of some kind of problem developing even between attendees who are supposed to be peacefully meeting and greeting other folks of the same or similar persuasion. Perhaps that’s why Pantheacon bans the carrying of actual weapons or magickal tools on the premises. Large groups also means that there is little privacy and absolutely no control over who attends, not to mention the appearance of the local press and other gawkers or unwanted spectators. These events are also shorter than other kinds of gatherings, typically lasting over a long weekend. This is because hosting a convention that lasted a week or more would be too expensive and couldn’t attract enough people to make it financially feasible. I suspect that the convention model for gatherings will probably occur for some time in the future, so long as large groups of individuals can afford to travel to regional metropolitan locations. However, certainly the attenuation in fossil fuels and the expenses associated with energy and food consumption will take their toll, and it’s quite possible that conventions will become less attended and eventually fold, particularly pagan conventions. These may even become events that are planned once every few years or even once a decade, ensuring that many people will be able to plan and save up their money to attend. Yet one of the major drawbacks to this kind of gathering is the fact that there isn’t much privacy outside of one’s hotel room. It’s also not a good venue for sharing intimate spiritual experiences and performing deep and involving workings in small groups outside of the privacy of one’s room.